Canada’s forest ownership structure is unique. About 91% of Canada’s forests are publicly owned, enabling governments to maintain strict control of resource development. 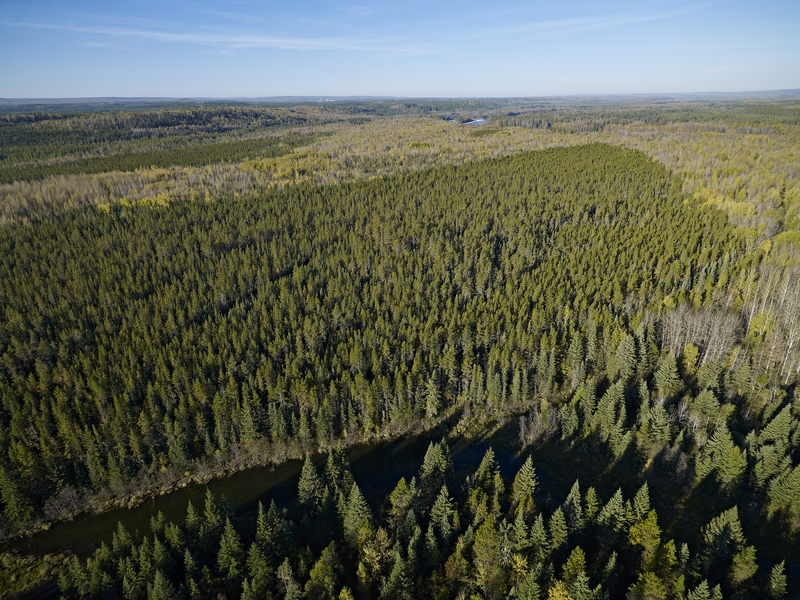 This system has enabled Canada to maintain 90% of its original forest cover. Like most Canadian forest products companies, Millar Western sources the vast majority of its timber from publicly owned forests. Approximately 90% of our fibre supply is harvested from lands held under license with the Alberta government, with the balance purchased on the open market. In exchange for harvesting rights granted by the government, the company pays market-based stumpage dues, and assumes all responsibility for planning, road-building to access the timber, reclamation, reforestation, as well as aboriginal and public consultation. 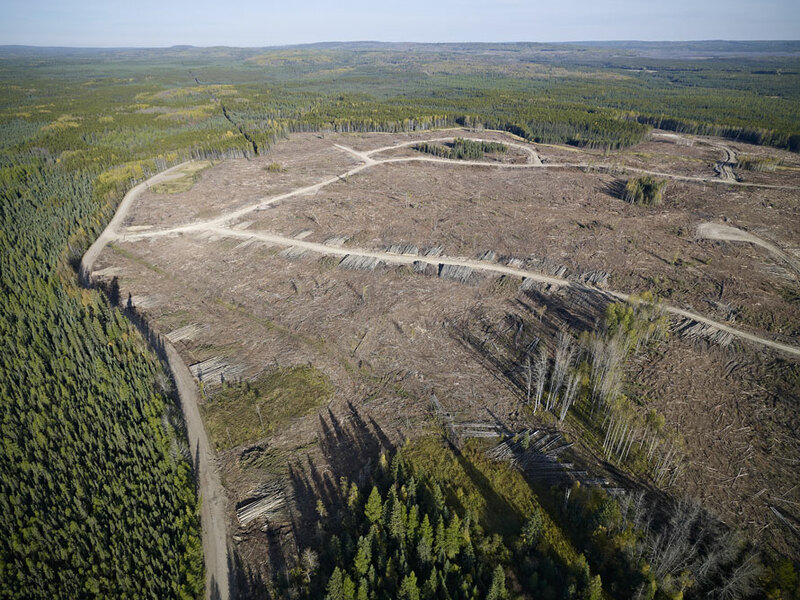 Millar Western maintains forest management operations in Whitecourt. 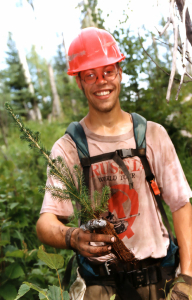 The company’s professional foresters are responsible for meeting the fibre needs of our lumber and pulp facilities while ensuring forest sustainability. Helping to carry out these responsibilities are networks of harvesting, hauling and tree-planting contractors who are hired based on their commitment to quality, safety and environmental protection. Each year, we harvest and deliver about 2.5 million cubic metres of timber, to meet the fibre requirements of sawmills in Whitecourt and Fox Creek and a pulp mill in Whitecourt. Intensive planning is vital not only to meeting the needs of our mills but also to sustaining the forest for the use and enjoyment of future generations. No tree is cut before comprehensive long- and short-range plans are developed by skilled forest planners. The planning process begins by working with the mills to understand and meet their fibre requirements, being careful not to exceed annual timber allocations (annual allowable cut) provided under land- and volume-based tenures. Fibre needs not met by these long-term agreements with the Alberta government are satisfied through open-market purchases or fibre exchanges with other companies. Forests are complex ecosystems, so planners take care to ensure the maintenance of a wide range of natural values, such as biodiversity and soil and water quality. As well as natural cycles, they must also factor in the human element and so work closely with many stakeholder groups — oil and gas companies, trappers, aboriginal communities and recreational groups, among others — to ensure multiple perspectives and diverse needs are reflected in the final plan. 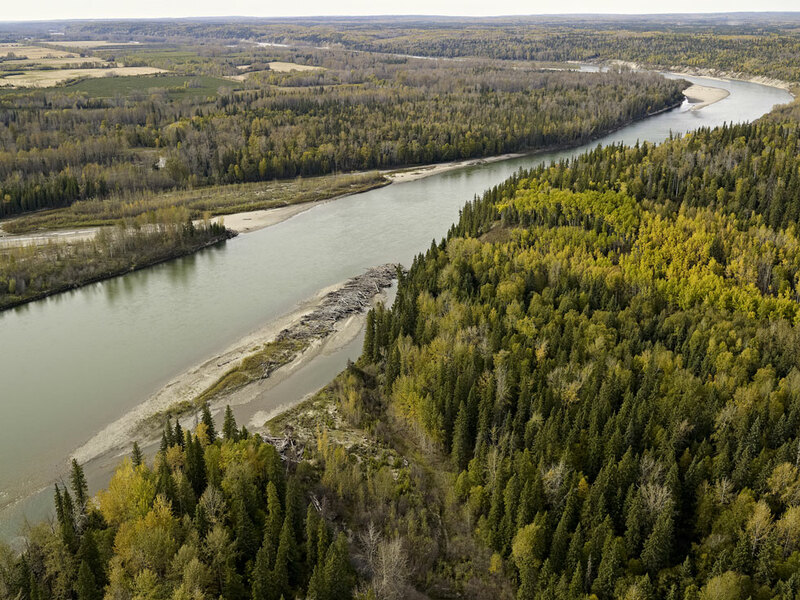 Once complete, the plan is submitted to the Alberta government for amendment or approval; only once the plan is accepted and in place can our work begin in the forest. Forest planners must take into account a wide range of forest values, including protection of waterways. Block shapes mimic natural disturbances such as forest fires. Harvesting is a year-round activity, planned and supervised by Millar Western and carried out by local contractors who share our commitment to operating in a safe, ecologically sensitive manner. We employ a variety of harvesting systems, choosing the most appropriate method for the requirements of each site. Today’s harvesting patterns mimic natural disturbances such as forest fires, resulting in harvested areas of variable size and shape. Areas of standing timber, downed woody debris and snags are left behind to provide wildlife habitat. Steps are taken to protect forest values identified during the planning process, such as lakes and streams, migration paths for wildlife, and places of cultural and economic significance to local aboriginal communities. Reclamation work begins once harvesting operations are complete. Forest renewal activities start within two years of harvest. Most Canadian forest companies harvest timber on government-owned land and are required, by law, to ensure the renewal of healthy forests. Failure to effectively restore harvested areas can lead to reductions in a company’s annual allowable cut. To ensure forest resources are sustained for the future and for the benefit of all forest users, renewal activities are initiated within two years of harvesting. To regenerate coniferous stands, Millar Western plants, on average, three large, sturdy seedlings for every tree harvested, while deciduous stands are reforested through natural regeneration. The stands are carefully monitored as they grow, to ensure the re-establishment of healthy, multiple-value forests. We reforest all areas we harvest. Since assuming forest renewal responsibilities from the Alberta government in 1977, Millar Western has planted over 200 million seedlings. What's Happening in Your Forest?